The latest version of Nokia 105 (RM-1133) flash files pack for all type of Nokia flashing devices just three basic files (MCU.CNT, PPM) files. On this flash files pack we give the basic flash files (MCU, CNT, PPM) for your region so if you want to download Nokia 105 latest Urdu flash files pack then you can download this pack easily just clicking on Download Link. We share three working links for easy to download also share old version files if you want to install an old version of flash files or if you want to change language file then select PPM file to change the language. The latest version of flash files of NOKIA 105 pack of three files MCU, PPM, AND CNT of any flashing tool for Nokia.so if you want to flash NOKIA 105 with latest flash files then download and enjoy. you can flash these files with Infinity Nokia Best or ATF (Advance Turbo Flasher). 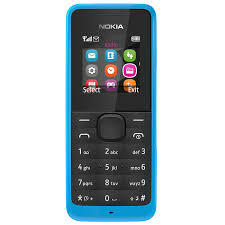 Nokia 105 simple phone with a lot of feathers and Nokia giving updates of this phone giving update is the latest update from Nokia. On these files PPM is Indian language,s version if you want Nokia 105 Hindi flash files latest version then it is for you. Flashing tool like Nokia Care Suite or flashing box Like ATF Box installs on your PC. That firmware file is only for only for NOKIA 105 RM-1133 don't try to install that firmware on other models of NOKIA devices that can destroy your phone.